Each year, Stanford students in the university's legendary Sleep and Dreams class create projects to spread knowledge about sleep and sleep disorders. Comical videos, events, story books, articles, classroom teaching sessions, brochures, and more. 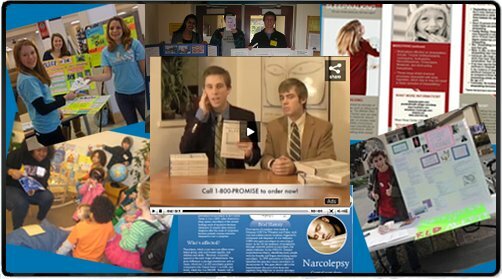 Here you'll find the unique blend of sleep education outreach fueled by college student personalities. Teenagers, college students, and adults are as a whole drastically uneducated about even basic sleep science, and this doesn't seem to make sense given the monumental importance of sleep. It consumes a third of our lives, and its mistreatment is the cause for large amounts of accidents and deaths every year, as well as a massive fallout in productivity. With this in mind, the Stanford students have undertaken the task of reaching more people about the importance of sleep, and many of their efforts from the last few classes are preserved below. Please feel free to enjoy them and share them as much as you like.